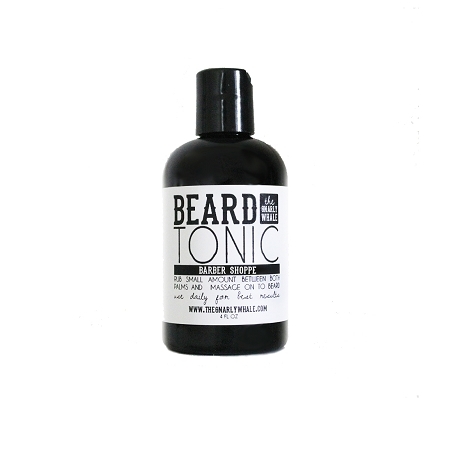 It's time to revitalize your beard with our Beard Tonic! Our Beard Tonic will help promote a healthier looking beard in no time. Our formula is created with a powerful blend of oils that are packed with vitamin e, fatty acids, antioxidants, and more – all of which will aid in the moisturizing of the skin beneath your beard with regular use. Rub small amount between both palms and massage into beard. Use daily for best results. Sunflower oil, avocado oil, jojoba oil, glycerin, grapefruit seed extract and fragrance oil. Description: A vibrant, earthy combination of bergamont, oakmoss, patchouli and a hint of basil.